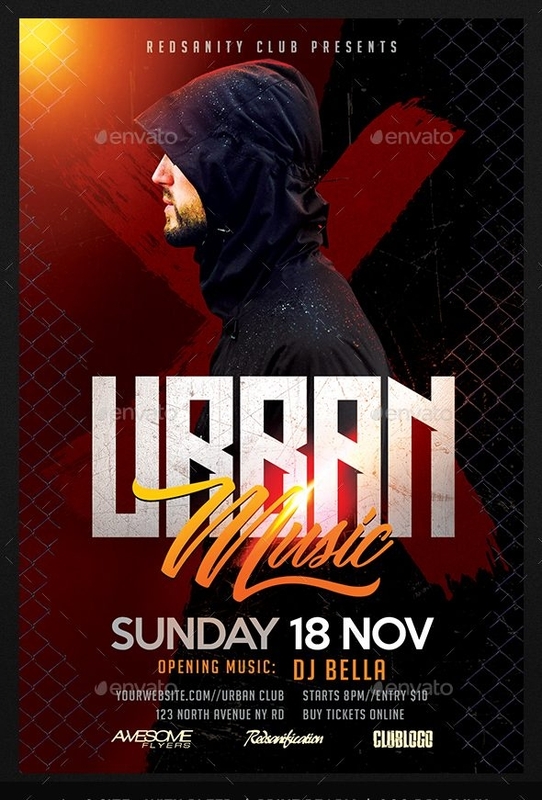 In this article, you will find various designs of music flyers which are layered in PSD files, fully customizable and are editable. 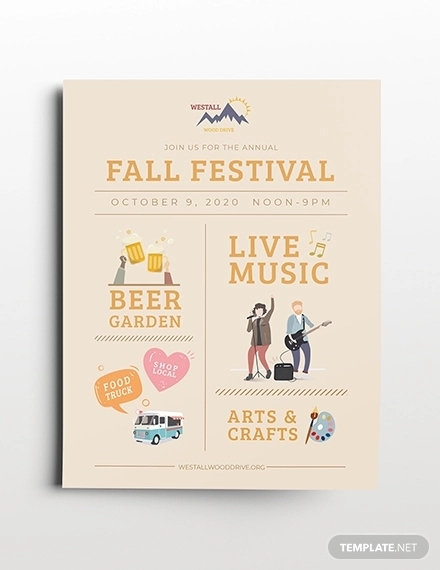 Browse each and purchase the flyer or poster templates that goes with your style. You could also either refer to these templates or use these designs, since these flyers are print ready which makes you save time. 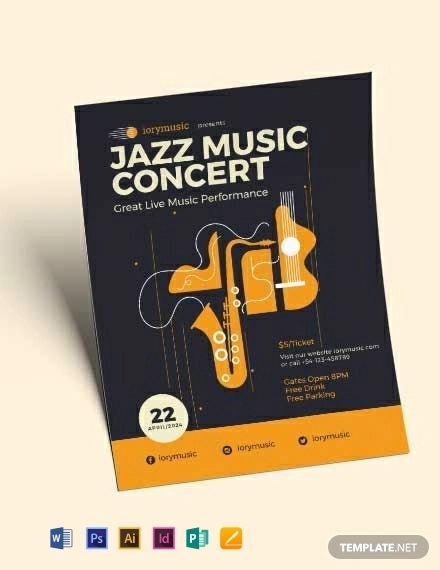 These music flyers also serve as invitation flyers to the people to come and join the celebration. 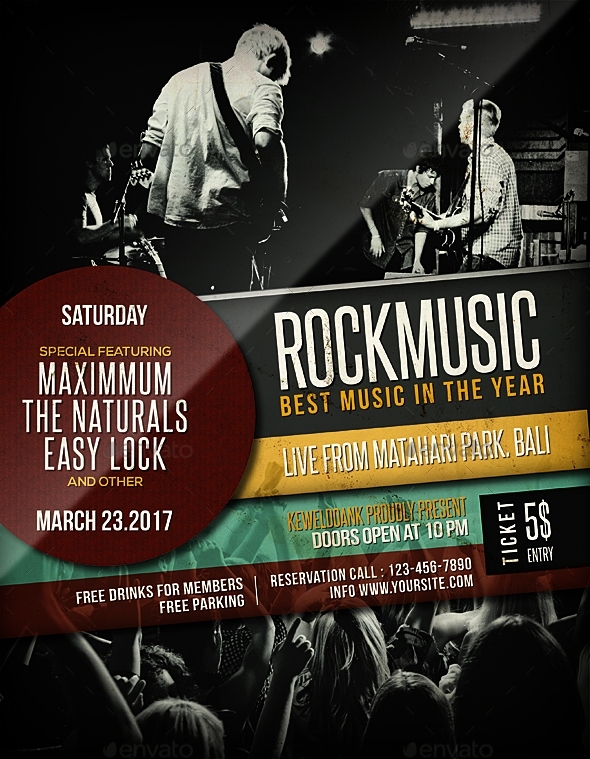 Surely, all people who are whether music lovers or not, will definitely want to rock and party until they drop! For various kinds of parties, either for children or for adults. 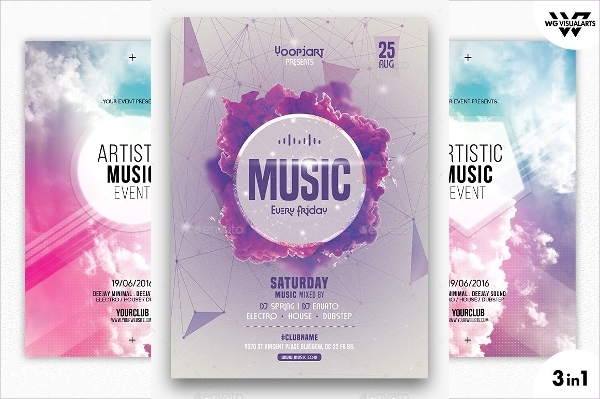 An example of which are celebrations from different events such as graduation, birthdays, and /or holidays, there are music party flyers distributed for some of those celebrations. For different events, either formal or informal, such as wedding and graduation announcement, music festivals of different countries, school and company business events like seminars or conferences, etc. For singing and dance competitions, music is also used to win depending on the mechanics or criteria given by the judges. Because some would use their creativity in remixing different genre of music. For sound effects of stage plays / theaters or soap opera in order to emphasize the actions of the different scenes in the play. For background music used in movies, either romantic, comedy, horror, adventure, and / or thrilling action, music is used to specify the setting or the genre of certain movies. For the entertainment of the people, either at the concert, in malls or just individual music saved in their gadgets that they use to listen to music anytime and anywhere they prefer to. Music is used for lots of reasons and for whatever season. The following listed above are just few of the reasons why music is part of our lives and how it is used. Indeed, music is used for every events that are held to also keep the people entertained. Imagine how life will be without music. Life would probably be boring and we will be living undeniably lifeless without it. Since music is one of the many things that has made our lives harmonious. 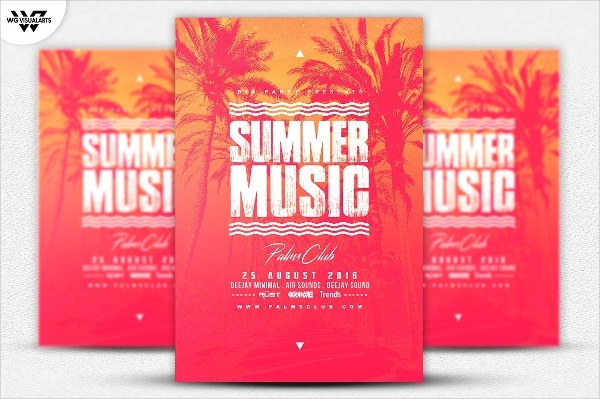 Examining all these music flyers, there are different types of music for different seasons or events. 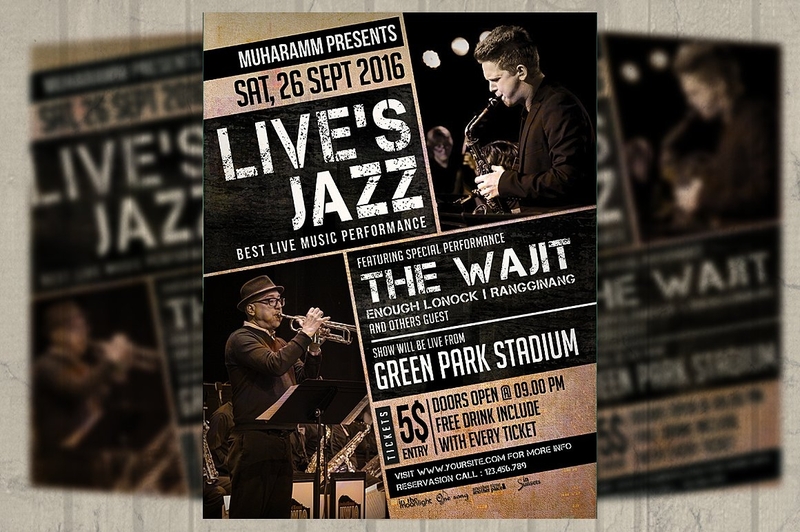 There are those live music flyers in which these announce that there are going to be some live band performances to be held with the guesting of different famous band performers or special guests at a specific date, time, and venue. 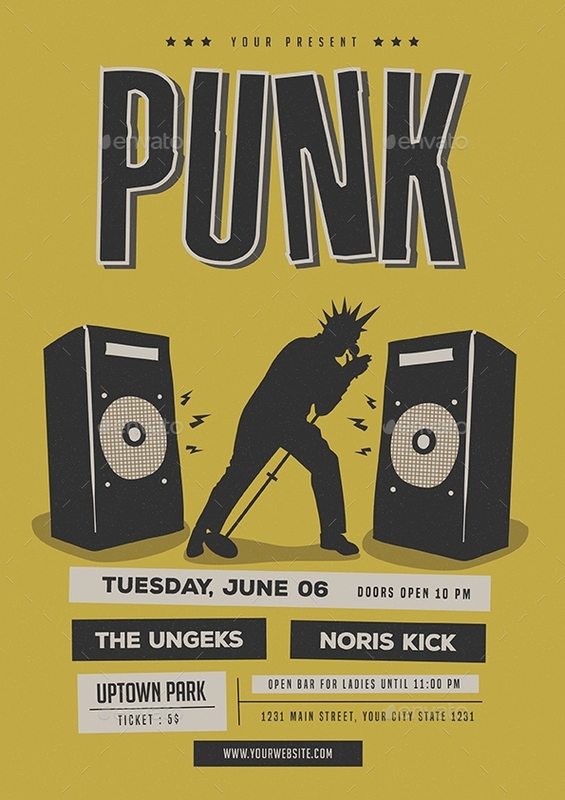 These flyers can actually be used for music band posters or banners in order for them to be posted or displayed where most people can view them. 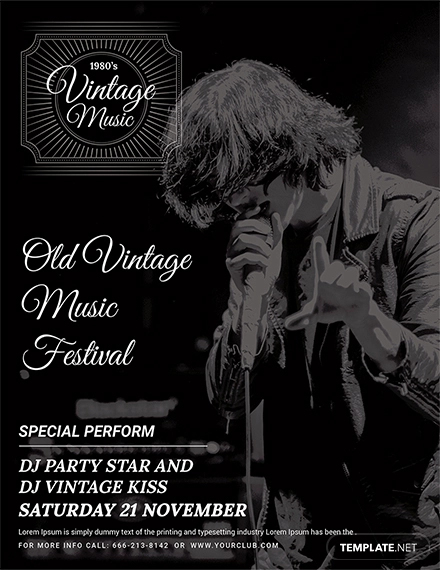 Other kinds of music flyer are for festival celebrations. 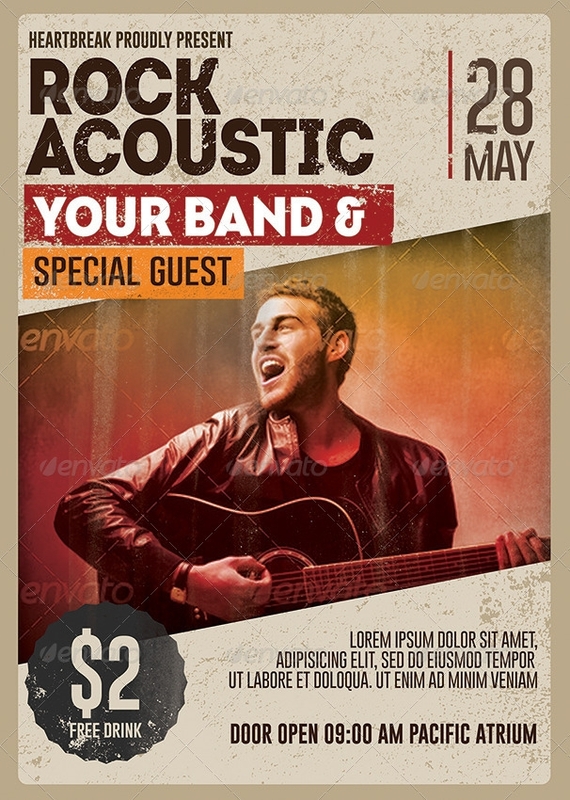 These music flyers could also announce any other events, such as singing competitions or music workshops. 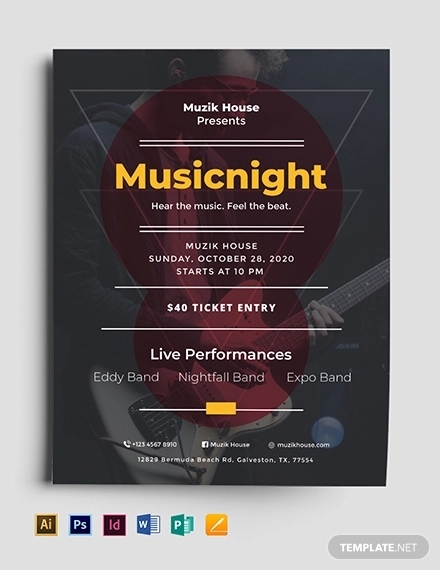 Music flyers are used for various reasons, but the main reason or purpose for these flyers to be printed out is to advertise an event to call the attention of the people who are fond with music. Going further, you will be able to realize when and what for are these music flyers for. 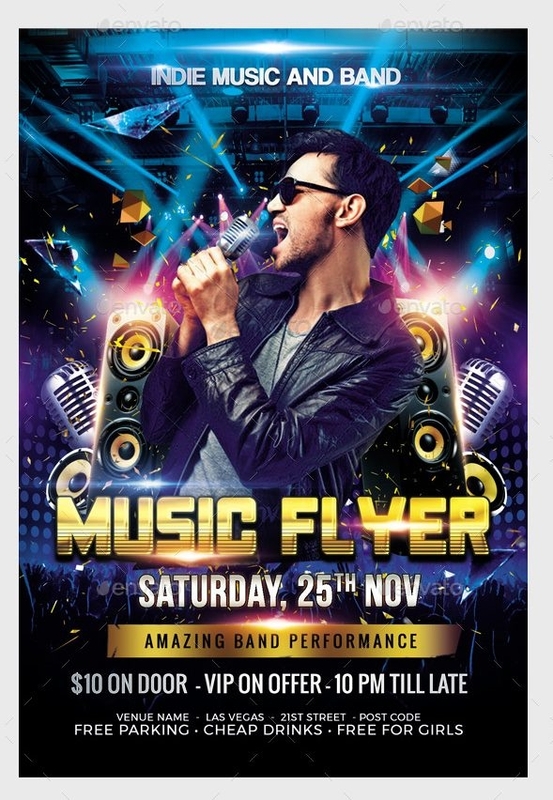 As you can see in the provided flyer templates in this article, these are more on music flyers for live band performances or concert of different singers, band or other performers. 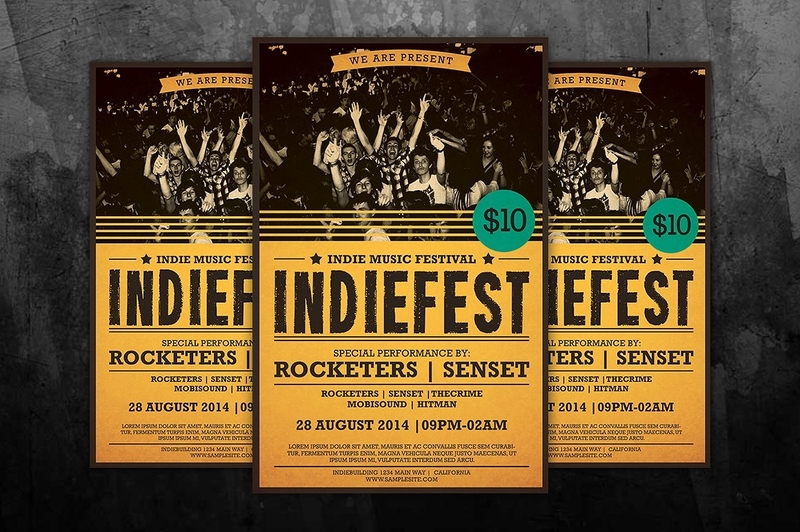 Indeed, music flyer are to let the people be aware that there will a concert of their favorite bands or singers. Music flyers can also be used as the summer flyers for different music workshops for children and adults. These are often music lessons for that are held or conducted every summer, since people are not that busy during summer vacations (especially children and teens). 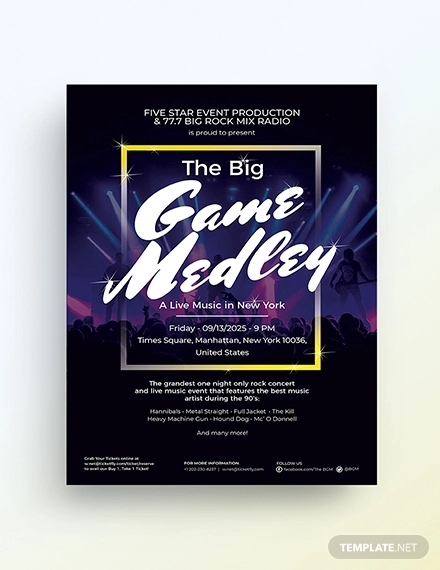 Music flyers for this kind of event or workshop are actually to announce or let everybody know that there will be some music lessons held on a specific date / time, and at a specific place or venue. 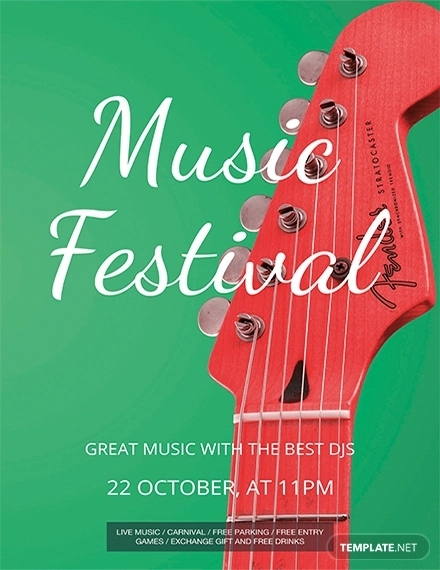 Another event in which music flyers are distributed to the public, is when people celebrate festivals. These are celebrated annually with series of organized events such as, concerts, movies, plays, etc. 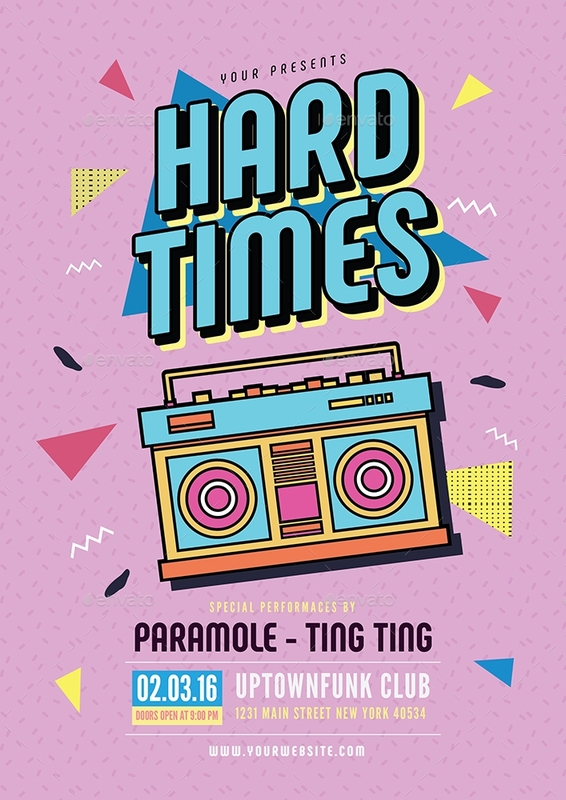 Music flyers are necessary since these are used as information for those people who do not know about where and when the party will be celebrated, though, festivals are actually held annually in the same place for the people to commemorate. 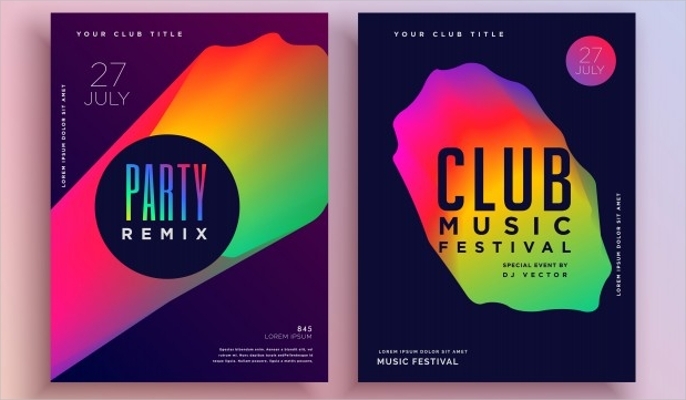 Festival flyers can also be used instead of using music flyers. 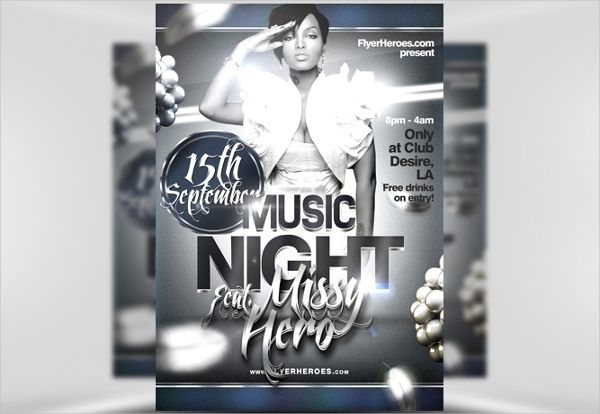 Basically, music flyers are just the same with other flyers which contains the necessary information that people should know and not missed. 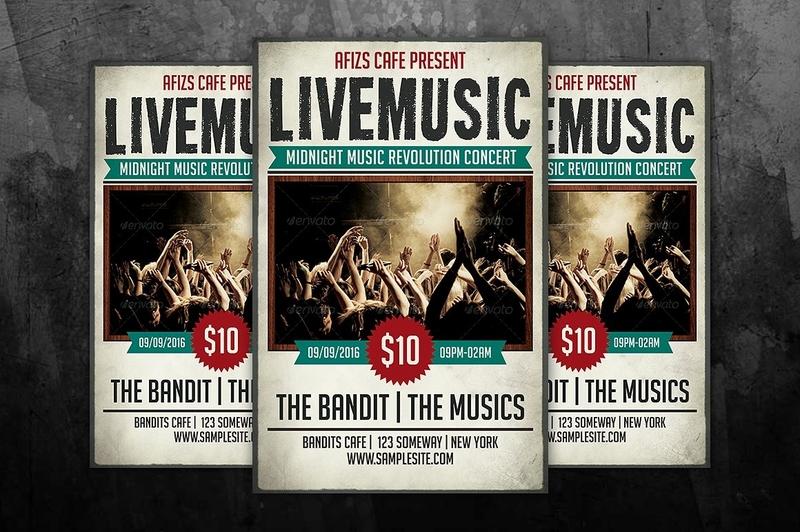 The different kinds of flyers actually vary on what they advertise, it could either be a product, a service, or an event. Organization or company logo and name: This is for the people to determine whether the event is held by a trustworthy company or organization, or this is just a scam or a fraud. The title or the event name: This is for the people to know why such event is held or for what reason. The band/s, singer/s, and other performers: This is to let the people be aware of who are going to be the performers. Some people definitely do not want to miss their favorite band’s performances. 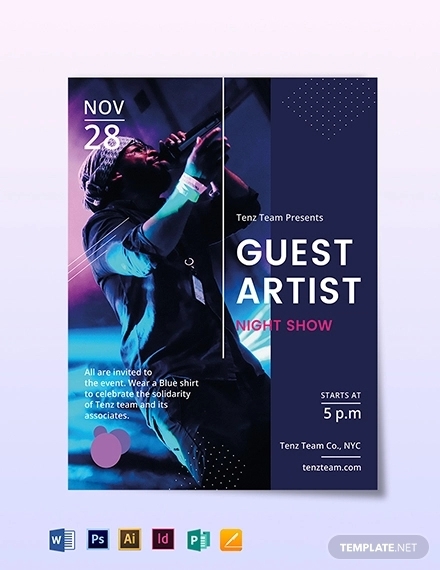 The type or genre of music or songs that the performers are going to perform. Because people have different tastes when it comes to music, some would want heavy musics and some just want a soft or smooth pop songs. That is why it is somehow important to include this information in the flyer in order for the people not to be disappointed. The date and time of when the event will be held: This is in order for the people to set and save the date for the event. In this way, they will know when or what time they should go and purchase the designed ticket for the event. This is also in order for them to buy tickets before it runs out. 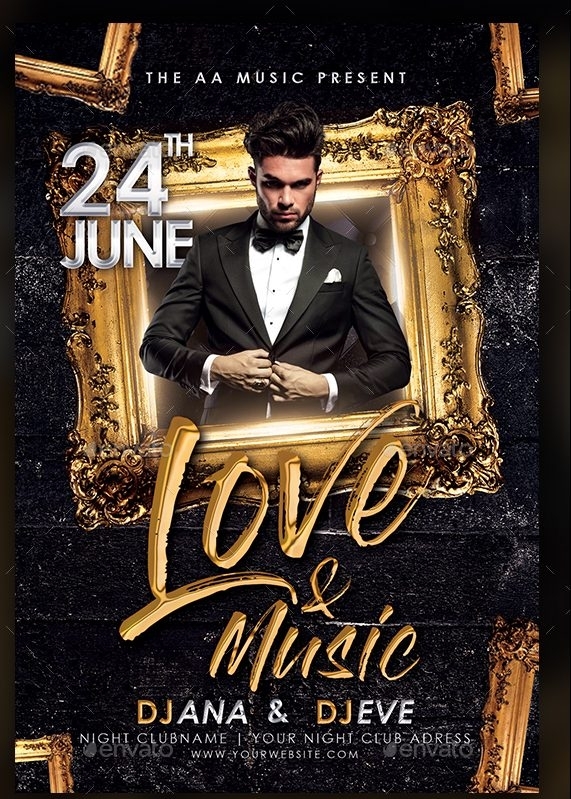 The exact place or venue of where the event will be held: Inclusion of this is also mandatory since this will let the people set their time on when to leave their places and arrive on time to the event place. The fees for registration or admission to enter the venue and the additional fees to be paid: This should also be included in order for the people to allocate specific amount for the event. The freebies that the organization or the venue offers to the people: This is one of which that catches the eyes of the people because not all would want to spend much and so they look forward for freebies or giveaways that are offered to them. And because there are those people who just came to the event to have much fun without spending much money. The contact information for inquiries or reservations, etc. : This is for the people to contact or get in touch when they have some clarifications about the said event. These are the basic information that are often included in every music flyers. 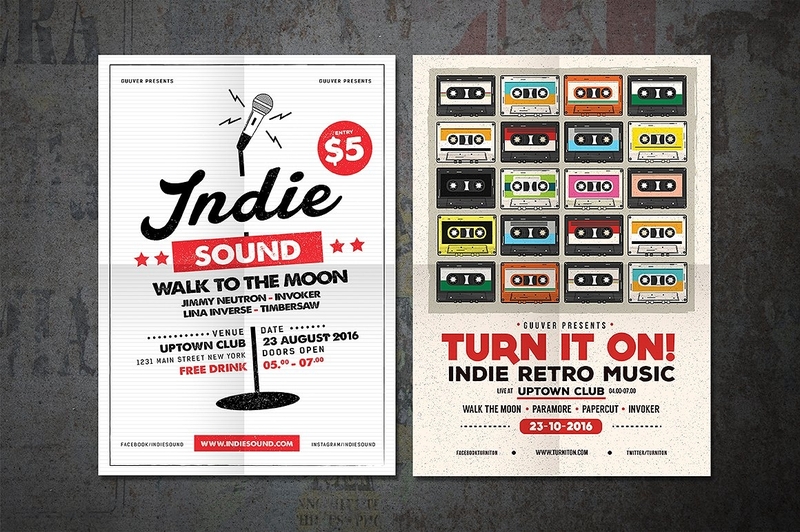 Referring to these music flyers, different ways or designs are used to creatively make these. 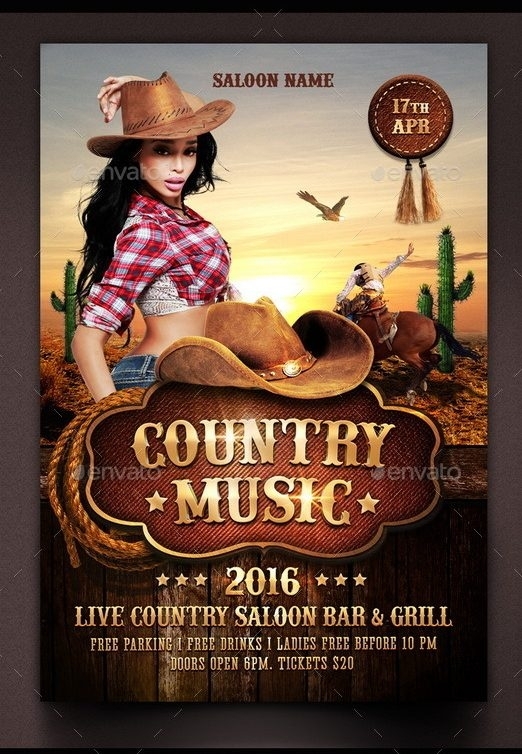 Sometimes, it is difficult to decorate or create a flyer most especially if you do not know what you should include. 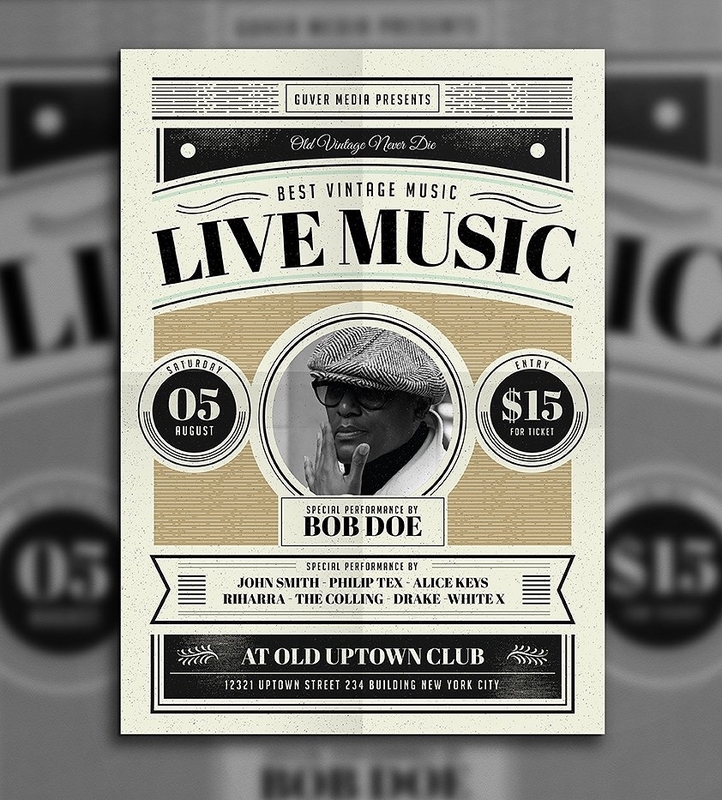 Anyways, here are the following tips when you design a music flyer. You should take note first the important details of what you are to advertise. 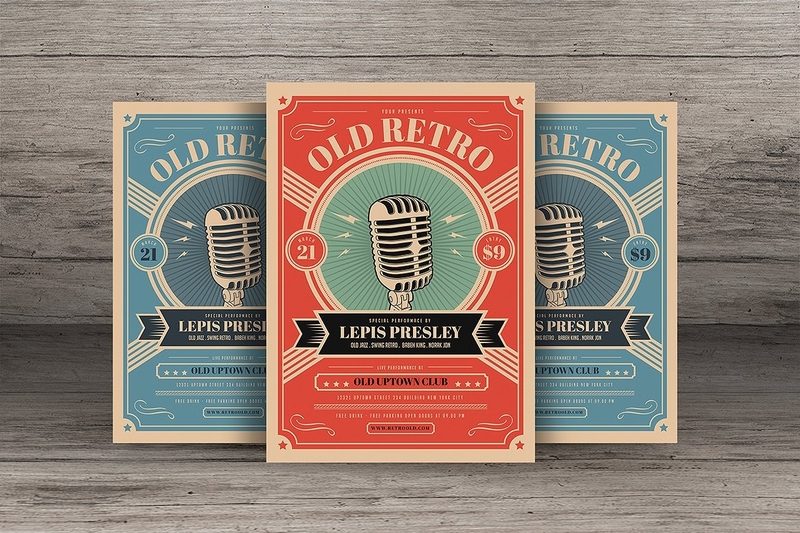 Make wise decisions in choosing the color scheme for backgrounds and for the best fonts that you have chosen for your flyer with different styles. Of course texts should stand out from the background. You could make use of different modern font styles, or typography fonts. 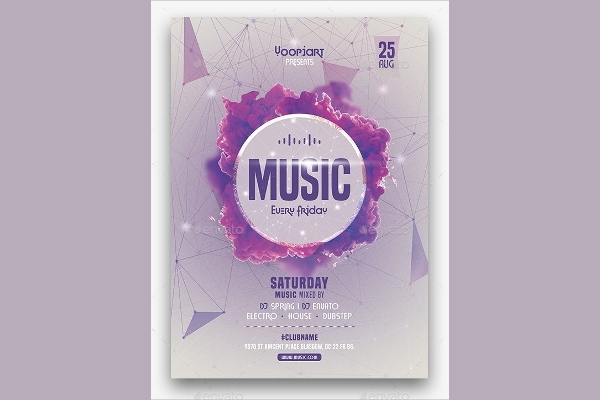 Since you are to make a music flyer, you could include some music vectors that would perfectly fit the flyer designs. You could make use of different ways to overlay textures for the backgrounds, words, images, and / or texts. For background, you have various choices on what to use. 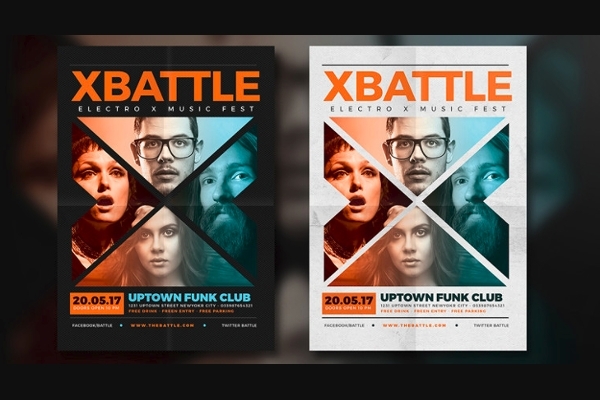 You can either choose a plain background, an abstract pattern, or images that would perfectly go with the genre of the music. 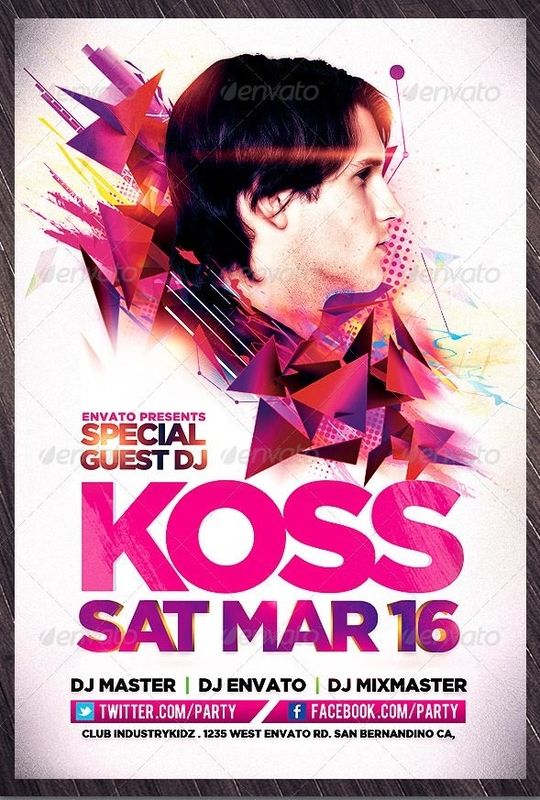 As seen from the other flyer templates, there are various of shape vectors that are used to add up to the design of the flyer. 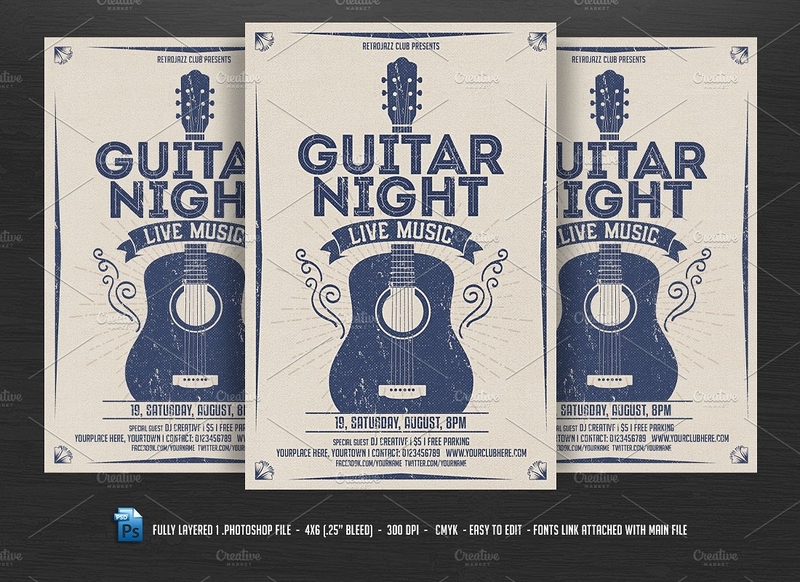 Also make use of different clip arts or drawings, such as guitar drawings (as shown in the flyer template above), and stereo vectors. 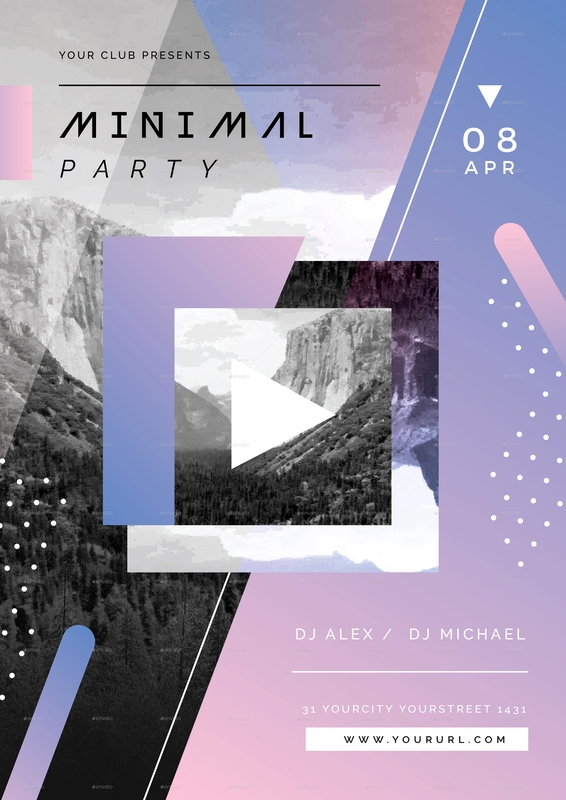 These flyer template are layered already in order for you not to have a hard time, though these are customizable and editable to whatever design or arrangements you want to make.